We are certain some of you Hip-hop enthusiasts out there wondered how the crib of American rapper Pharrell Williams looks like. 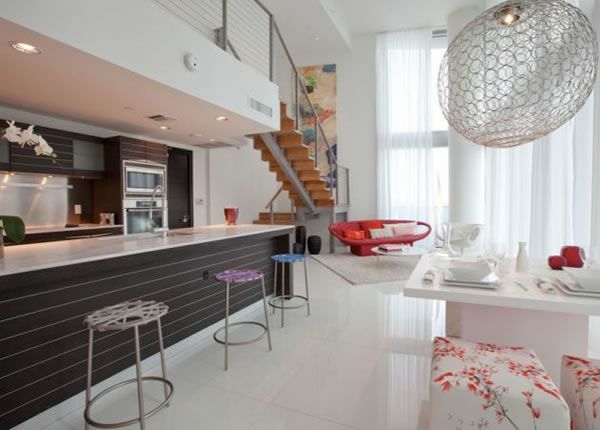 Well, we found his 9,000-square-foot penthouse duplex in Miami, Florida, listed for sale for $16.8 million. The self-entitled Kidult (you guessed right, this is the result of merging “kid” and “adult”) described his home as a reverse fishbowl, one that allows him to see everything happening outside, without him being observed.